Fornova and EyeforTravel’s white paper has uncovered that the greatest factor impacting rate integrity is contracted wholesalers, which are selling inventory to Online Travel Agencies (OTAs) that do not have direct agreements with hotels. This is resulting in lost market share and revenues for both hotels and partner OTAs. The depth of this is revealed by Fornova monitoring of nearly 10 million shops made through metasearch engines in 2018. The majority of this is coming from wholesalers moving on inventory, which is then posted by other sellers. Fornova CEO Dori Stein estimates that 40% to 50% of hotel inventory contracted to wholesalers is leaked online, despite the fact that they negotiate for static rates, based on the fact that those rates will be opaque to consumers who are purchasing the room as part of a package with other services included. 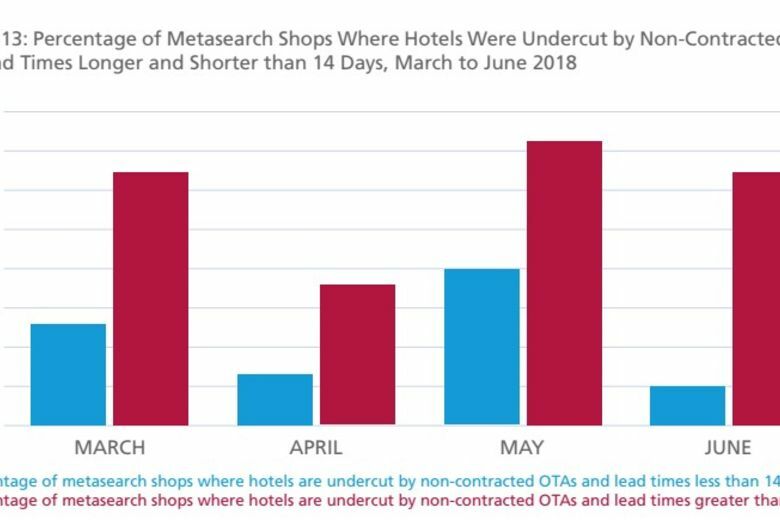 The growth of APIs has allowed more players to access and market inventory to more partners but this is not necessarily in the hotel’s best interest. Hotels need to have a view on who is selling their inventory and at what price to protect their brand’s integrity and also to prevent their prices being consistently undercut by wholesalers who should not be placing inventory in this manner. Failing to do so means hotels cannot understand the true effectiveness or cost of their marketing and sales efforts and for consumers to shift away from seeing value in making a direct booking. The issue is ongoing for Thailand-based Dusit International, which operates primarily in Southeast Asia and which maintains static contracts with a multitude of traditional wholesalers. “There is crossover between all of the different players on various channels and that makes it very hard to maintain rate integrity,” said Chatchai Pongprapat, assistant vice president, revenue management. The company’s solution has been to partner with Fornova, which polices the rates and in turn, Dusit tackles rate disparities one-by-one as they arise, while also reconsidering the terms and conditions of individual static contracts in order to keep the hotels from being undercut.